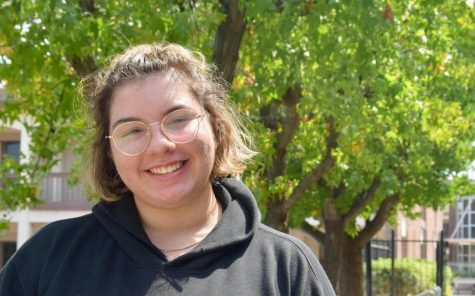 Spraining her wrist and ankle, getting a concussion and running her car over her own foot was all it took for senior Amanda Wilson to believe in luck. There was one thing in common with in all these unfortunate mishaps: Wilson was not wearing her lucky necklace and ring. Luck is defined by the Oxford dictionary as “the success or failure apparently brought by chance rather than through one’s own actions.” However, many have formed their own definitions of luck and opinions on the existence of luck through personal experiences and religious beliefs. Duncan Pritchard, a Chancellor’s professor of philosophy at the University of California, Irvine and the author of “Epistemic Luck” explains that there are various definitions about luck. He defines luck as an event that could have easily had another outcome that didn’t occur. The idea that luck is an event solely brought by the high probability of something not happening portrays the sentiment as a quick instance with not much build up. Dr. Tina Seelig, a faculty director of the Stanford Technology Ventures Program and Ph.D. from Stanford University Medical School in Neuroscience, explains in her TED talk “How to catch luck” that this way of thinking isn’t entirely accurate. There is something predestined about the concept of luck, but that moment when a person examines their luck builds up. Small details build and overlap to create this instance where even the unexpected occurs. Like Pritchard, senior Sean Crofut believes in luck and describes it as a series of random coincidences. He defines luck with an anecdote regarding a “SpongeBob” episode. 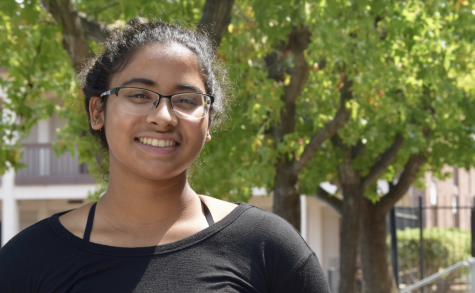 Like Crofut, sophomore Eesha Ramkumar is able to define her idea of luck with a personal experience — but she herself does not believe in luck. Through her personal experiences, she has concluded that being lucky simply means being in the right place at the right time. It was through studying and taking tests that she realized the outcome was a direct reflection of her work ethic. Luck isn’t a simple term; there are many aspects that come into play when someone finds themselves in an unexplainable position. Some would give credit to their luck instead of other underlying factors.To many, life isn’t completely predetermined, and Seelig backs this idea up in her TED Talk as well. “Now, you might say, ‘Oh, you’re so lucky.’ But of course I was lucky, but that luck resulted from a series of small risks I took, starting with saying hello. And anyone can do this, no matter where you are in your life, no matter where you are in the world,” Seelig said. Like Ramkumar, freshman Rishi Desai believes that luck does not exist and that people should not solely rely on luck for good things to happen. Disregarding luck as a possible force behind an event, Desai believes that it is a person’s individual actions and proactive decisions that lead to a certain outcome; in his view, there is no such thing as a random coincidence. With these varying opinions on luck, Pritchard notes that luck is often confused with other related notions such as chance or fortune. Both fortune and chance are very similar to luck: being fortunate often means that you create your own luck while chance is the objective reality of random outcomes in the real world. According to Arts Journal, luck is chance viewed through the spectacles of good or bad fortune. Wilson, however, considers herself not fortunate, but lucky. Her luck stems from her two pieces of jewelry – a necklace and a ring. Wilson has found herself vulnerable to countless amounts of injuries over the summer when she was not wearing her lucky ring and necklace. She is now accustomed to regularly wearing these pieces of jewelry to avoid bad luck. She found that whenever she has worn the two, she was never on the receiving end of bad luck. She received her lucky silver necklace from her grandmother at the age of four when she was a flower girl at a wedding. The necklace is dear to her as it holds an emotional connection to her grandmother. The ring, which she received one year ago, has her birthstone, Alexandrite, in it. Wilson is one of many who believe in lucky objects. According to a survey of 368 students, 28 percent have good luck charms. Crofut also has been graced with the misfortunes and fortunes of random chance but believes that overall he is lucky. Although Crofut considers his life to be overall lucky, junior Shreya Patibanda recalls how she has had bursts of luck throughout her life. She credits luck to the many times in her life when she asks for something and then it happens without an explanation. She recalls one day, when she lived on the East Coast where school was out for the day due to the snow. That one day she had off from school had her asking for more, and to her luck she got another day off, and four more following soon after. 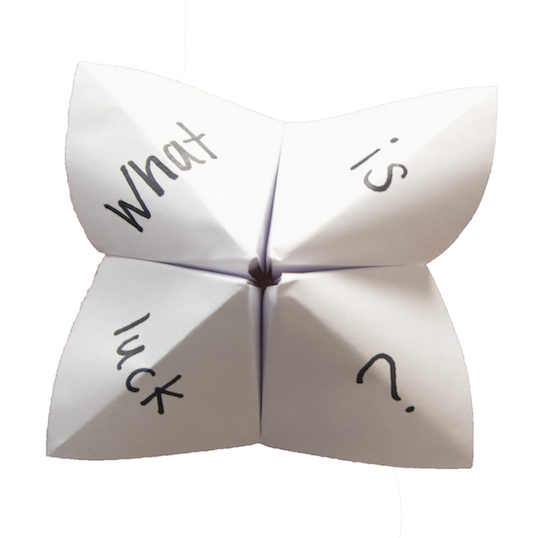 These experiences with a stroke of luck come into play when students decide whether they believe in luck or not. While most MVHS students are steadfast in their beliefs regarding luck, they do acknowledge the other perspective and provide insight as to why others may or may not believe in luck. Some may not believe in luck because they believe that everything happens for a reason, similar to destiny. According to a survey of 362 students, 55 percent believed in destiny. Ramkumar believes that others may believe in luck to have hope during moments of sufferings and hardships. It’s a way for them to keep persevering through strife. Patibanda mentions that this same idea could be applied to destiny. While luck and destiny may seem similar at first, they are inherently different. According to Patibanda, people believe in luck when something is unexplainable while destiny means that there is a reason for everything. In some cases, religion appears to be a influencing factor. For example, Crofut mentions that people who do not believe in luck often want to structure the events of their life to the idea that everything happens for a reason, usually influenced by religion. Ramkumar, as stated previously does not believe in luck, mentions the concept of karma, a Hindu and Buddhist belief that all actions have accompanying consequences, does not influence her idea of luck. She thinks that this philosophy is a mechanism used to control others to do good things. From a survey of 245 religious students, 51 percent believe that their religion affects their idea of karma. Karma can be seen as the product of an individual’s actions in life and luck can be seen as the the interaction of karmas. Patibanda, who is also a Hindu, does not believe in karma, because she does not believe in the importance of morals. She feels that an action that may seem right to one person might be wrong to another, emphasizing how morals differ from person to person, and therefore karma cannot exist. She mentions an idea from “Inherit the Wind,” a movie depicting the Scopes Trial, to show that morals are constantly changing. The idea of luck is interconnected with many other beliefs within religion, personal definitions of destiny and chance, and morals which seem to dictate a person’s view of luck. Whether they believe in luck or not, MVHS students have defined it with their own experiences and beliefs. Luck comes in all kinds of aspects in a person’s life, whether it is good or bad luck. Like all other subjects in the world, luck isn’t simple, sometimes there needs to be a push.